The San Pancho Bird Observatory (OASP by its acronym in Spanish) sent out a press release announcing the installation of second-generation informational signage in the different birdwatching routes in San Pancho, the Cultural Capital of the Riviera Nayarit. “These signs have helped raise awareness with the locals regarding the importance of maintaining a rich biodiversity of birds in the area and raising the standards of the ecotourism infrastructure, as well as promoting birdwatching as a community-based resource for the sustainable conservation of birds and their habitats,” read the OASP release. 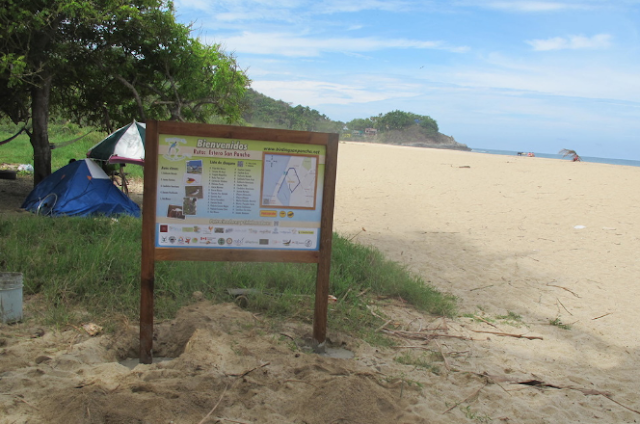 This unique signage is cutting edge and paves the way for the Riviera Nayarit to be included as a birding destination on a global, sustainable level. “This second time around we’re counting on the support of our sponsors in order to install planters and maintain the areas around the signs to keep them aesthetically pleasing,” continued the text. This project took place thanks to the support and sponsorship of over 20 businesses, civil associations, NGOs, and local and international partners that have lent their efforts to the sustainability of the destination, among them, the Riviera Nayarit Convention and Visitors Bureau.